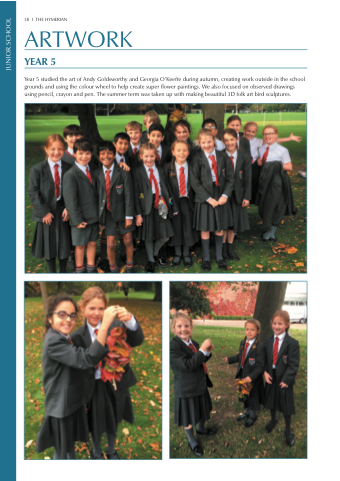 Year 5 studied the art of Andy Goldsworthy and Georgia O’Keeffe during autumn, creating work outside in the school grounds and using the colour wheel to help create super flower paintings. We also focused on observed drawings using pencil, crayon and pen. The summer term was taken up with making beautiful 3D folk art bird sculptures.